I feel as if Lady Luck has always smiled down upon me. I can remember countless times that I’ve found money (and we’re not talking about nickels and dimes… the real shizzle) out and about: $5 outside a pub (after my drink had been bought for me, as well), or $20 as I waited in line to buy a wrestling action figure as a kid. You get the picture. 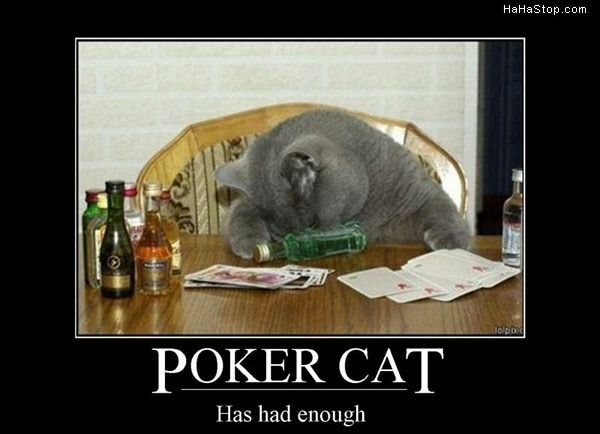 This brings me to my greatest night out gambling in Las Vegas. The action may seem tame and the winnings mild to many, but it was a wonderful rush for me. We were in Sin City to celebrate Broski Sip’s 21st birthday. The trip had gone very well to that point, but Mrs. Sip had now departed the group since she had to get back home early for school stuff (I had so far failed to bring her up to my Fonzie-like cool status… which is probably why she earns so much more than me now). We grabbed some drinks and hit the Treasure Island casino floor to try our luck. Growing up, I played a lot of video poker on a handheld device I was given one Christmas. 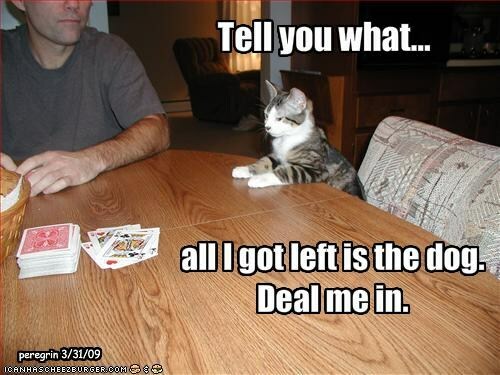 I decided to try my hand at that, too intimidated to play Texas Hold’em, Blackjack or anything else with live people. Might have had a chance taking some money from this friendly fella! Putting in a whopping $5, I figured I’d play until I was wiped of my massive funds and then concentrate on something I do best: drinking! Early on I fluctuated back and forth, never making any serious gains, but I wasn’t losing much either. Then I started hitting some big hands. Two four-of-a-kind draws materialized in the span of about 10 hands and before I knew it, I was up $40. Not bad for video poker and starting small. The winning continued and I was having a ball. Surely casino officials would soon be approaching me for enrollment in the High Rollers Club now that I’d surpassed $50 in winnings! What I expected to last about 10 minutes (if I was lucky) was now entering a second hour of play. I decided to set a drop out limit and when I finally came back down to about $50, I cashed out and proudly coddled the strip of paper that announced my earnings. It would have been nice to be back in the old days of casinos and actually have a massive bucket of coins to embrace, but then video poker may not have existed (and Back to the Future tells us that I would not have been born, in that case). At least I knew when to stop! This cocktail is sure to give you all the blessings you need to match my $50 record winnings. 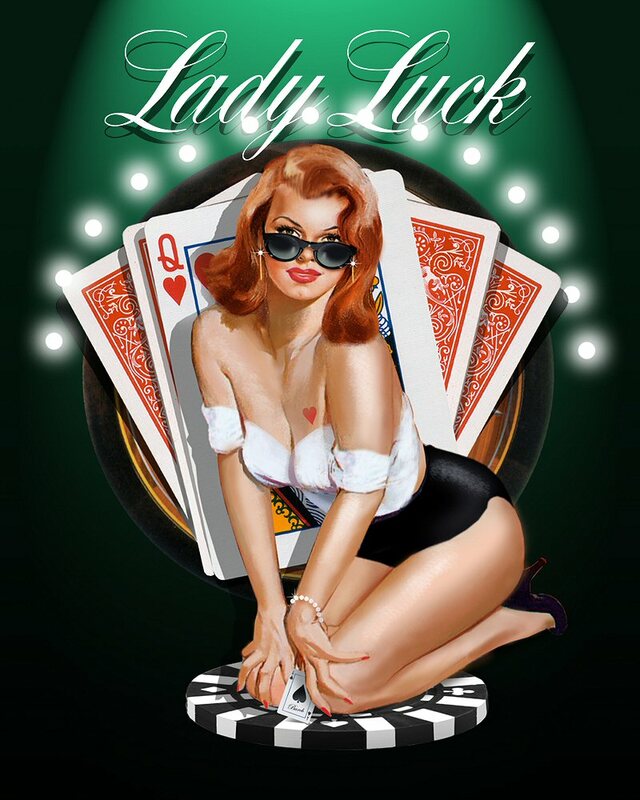 May Lady Luck look over you and all your loved ones as you join me in the High Roller Executive Club! My favourite detail about this cocktail is probably the garnish, with the Maraschino Cherry wrapped up by the Orange Twist. I wasn’t overwhelmed by the taste of the cocktail and it was a little thick thanks to the Orange Juice. 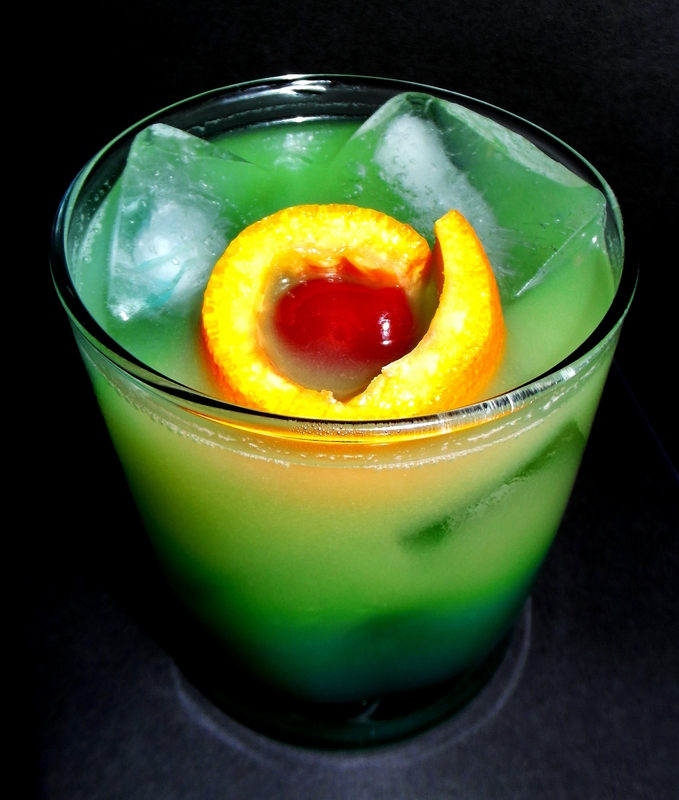 This entry was posted in Crazy & Classic Cocktails and tagged 21st Birthday, alcohol, Blackjack, blue curacao, Casino Chips, Christmas, cocktail, Four-of-a-Kind, gin, Lady Luck, Lady Luck Cocktail, Lady Luck drink recipe, Las Vegas, orange juice, Playing Card, Sin City, Texas Hold’em, Treasure Island, Video Poker by Daniel Wilson. Bookmark the permalink.